A big achievement in the production of our Patagonia film – we have finally achieved picture lock. Yeah! We’ve also decided on the final title for the film. Woohoo! I can confirm that all Kickstarter backer rewards will be delivered by the end of 2015. Yay! A lot of ‘finals’ and ‘finallys’, then. This all rather sounds like we’re nearing completion, doesn’t it? This is the stage of editing a film when the cut – the precise shot order and length – will never again change. Not by a single frame. 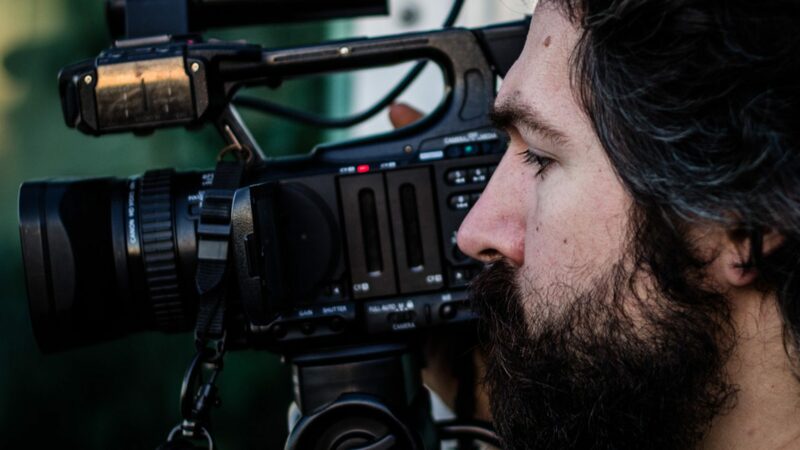 It’s a big deal because it means that you’ve worked through your footage in successive levels of detail and crafted the final story that the film will tell, frame by frame. For the film of our Patagonia trip, getting picture lock – also known as the final cut – has been long and tiring. We originally scheduled (and budgeted for) 4 full weeks of edit time, working with the same editor, Scott, who we’d worked on in the past for the short version of Karun last year, and who Leon had previously worked with on Into The Empty Quarter. We expected it’d be done by June. But it wasn’t. The story didn’t work. Early feedback was either critical or nonexistent. I assumed directorial responsibilities at this point in the project, as we both felt that the film needed a singular vision. This would allow Leon to concentrate on expressing his own version of events in his own voice, and me to translate that into film format, resulting in a film that would tell the story primarily through his experiences, as we’d always envisaged. This combination of roles seemed to work well, even though it was the first time I’d directed a feature-length film – a huge intellectual challenge, but one I’ve very much enjoyed taking on. It took 3 different scripts, 3 different voiceover recording sessions, and 3 more recuts before the result felt anywhere near coherent. But we finally think we’ve nailed it. We haven’t yet received the bill (! ), but by the time we reached picture lock last week, we’d almost doubled the budgeted time – 8 weeks instead of 4 – in the edit suite. There should be no limitations on this type of creativity. Beholden to no broadcast commissioner or overbearing executive, we took it upon ourselves to prioritise making the best dam film we can (sorry), and we were lucky enough to find a source of additional funding to do so. The film is now in the hands of the colourist and the sound mixer, and on October 30th – all being well – we should be re-assembling and finalising what will henceforth be known as The Last Explorers On The Rio Santa Cruz. Leon’s original treatment for this trip, which was floated to a few broadcasters, was also entitled ‘The Last Explorers’. An ostentatious-sounding name – as every adventure project aimed at British telly should have – for an interesting idea: the presenter would visit places in the world which were more or less doomed to destruction, and the Santa Cruz episode would act as a pilot. We dropped this title idea early on, thinking it was a little too ostentatious for its own good, and possibly even misleading. But having been there, made the film, and considered the point in the story of the Rio Santa Cruz that we’ve now reached, we realised that – with a little nudge towards specificity – it would accurately summarise what happened last year in that little-visited part of Patagonia, and hopefully raise enough eyebrows to warrant closer inspection. Thus, The Last Explorers On The Rio Santa Cruz it is. Having resolved the unknown quantity of actually finishing the bloody thing, we’ve been able to put in place some dates and deadlines for reward delivery – specifically, downloads, signed DVDs and handwritten postcards! It’s complicated by the fact that both Leon and I are both currently based in the Middle East. But we’ve co-ordinated sufficient temporal and geographical coincidences to ensure that this is only the tiniest of spanners in the ointment. Postcards will be despatched mid-November (to coincide with the public release of Karun). Downloads of The Last Explorers On The Rio Santa Cruz will be with eligible backers early in December. And DVDs – festive postal mishaps notwithstanding – will be with higher-tier backers in time for Christmas. I’ve taken the unprecedented step of renting a desk in a co-working space here in Yerevan in order to get this all done on time. Simultaneously, I’m gearing up for the public premiere of Karun, shortly followed by its public release online as a digital download on Monday November 16th. Karun has already stimulated a lot of interest from people familiar with Iran’s reputation among travellers – the response to our call for translators being a good example – and this is going to be the starting point for a bigger outreach project. The idea is that we’ll make a screening package available for free to anyone who wants to organise a non-profit community film screening to spread a positive message about Iran. More on that very soon! It’s a lot of work, but that’s what I signed up for – and, thanks to the support of a great many of you, its the kind of work I feel privileged to be doing.